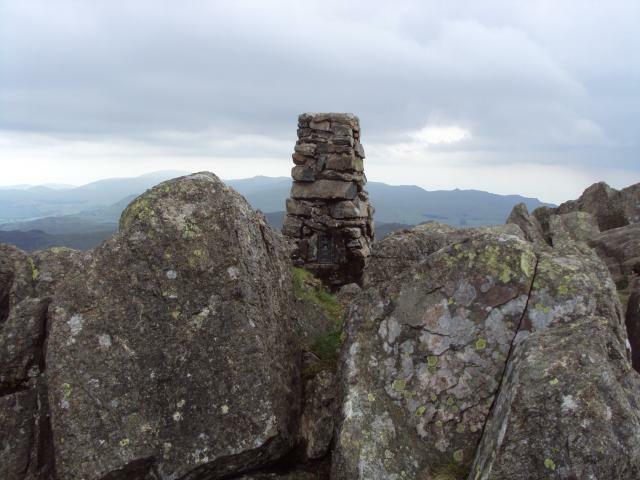 Is ranked joint 580th with 10 other trigs (more). 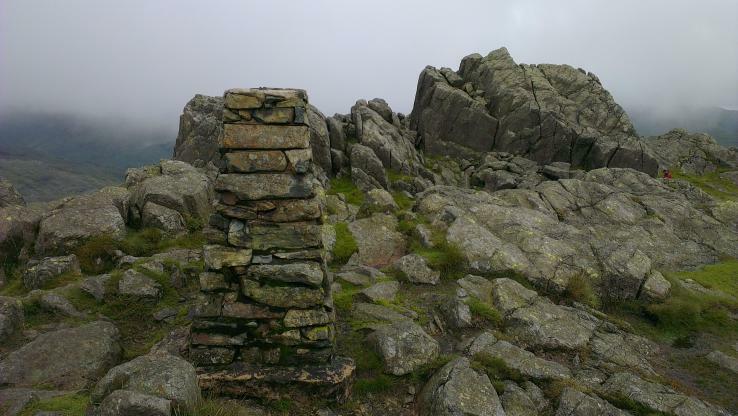 Lovely stone built Lakeland Trig. 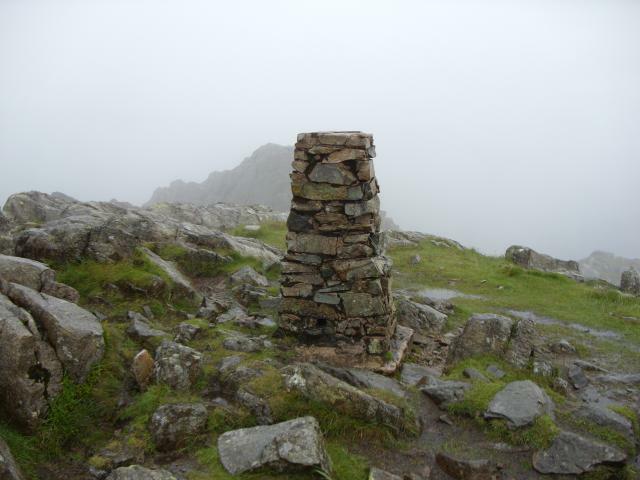 Unfortunately the weather was horrendous when we eventually found it, so no views, although I believed they�re fantastic! With SDT from car park at Birks Bridge. Steep but enjoyable walk up from Birks Bridge on a sunny autumn morning. 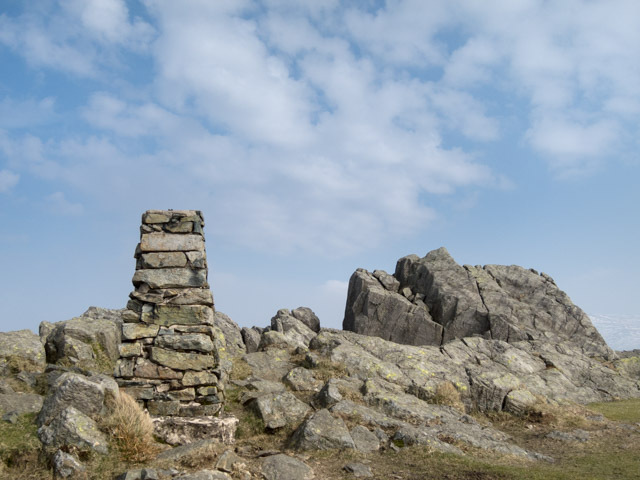 Lovely walk up from Wha house in Eskdale.. Revisit. Overall approach from NNW. 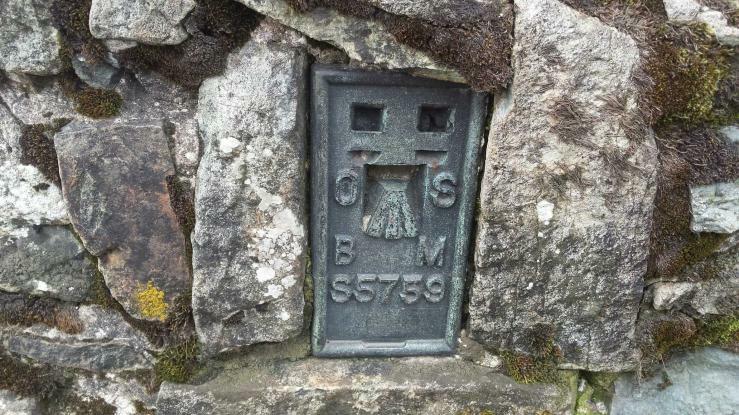 Free car park to south side of Hardknott Pass at NY213011. A stone footbridge leads across the gill onto the mapped RoW. 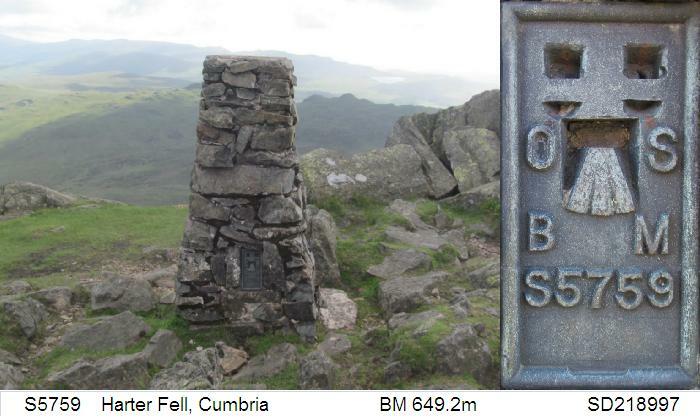 Best route is to follow RoW to NY206001 then take the (mapped in black) footpath directly to summit. Stone built pillar in good condition. Spider centre filled with mortar. Flush bracket faces 74�, ENE. Vented through NW sight hole. 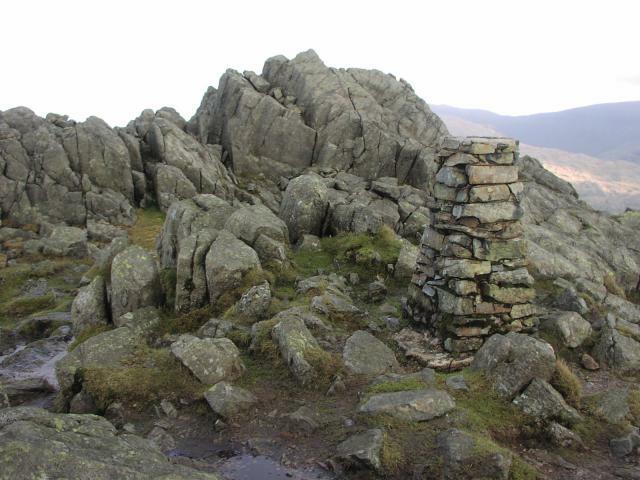 Near full panoramic view, obstructed only by true summit rocks which overtop the pillar height by 4 metres. 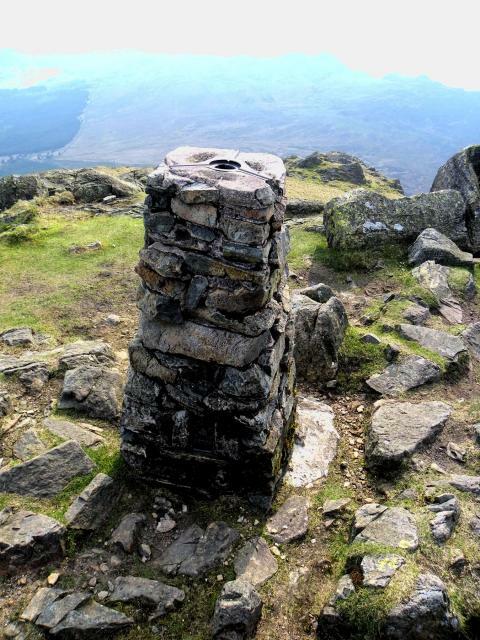 The 360� panorama can be observed from the true summit. From Birks Bridge. Followed forestry track to Buck Crag then once past the boggy first section of the path it's a steep ascent, easing two-thirds of the way up. Parked at Birks Bridge car park. Followed footpath past Birks and up soggy path. Drizzly morning with low cloud meaning no views. 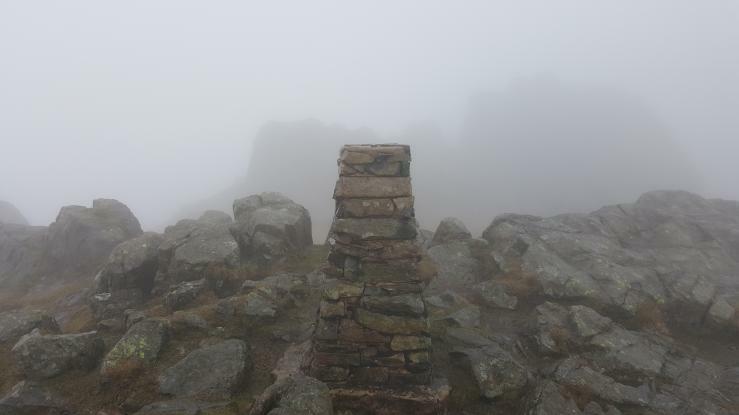 Unfortunately the peak was covered in cloud. 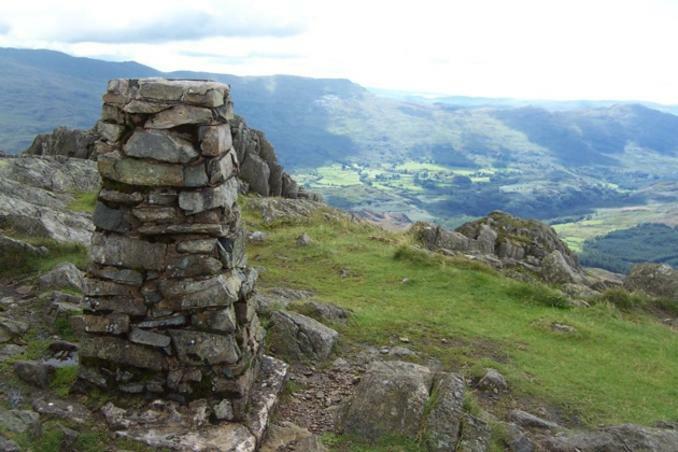 Still a great walk to the top with views towards Esk Valley and Hard Knott. 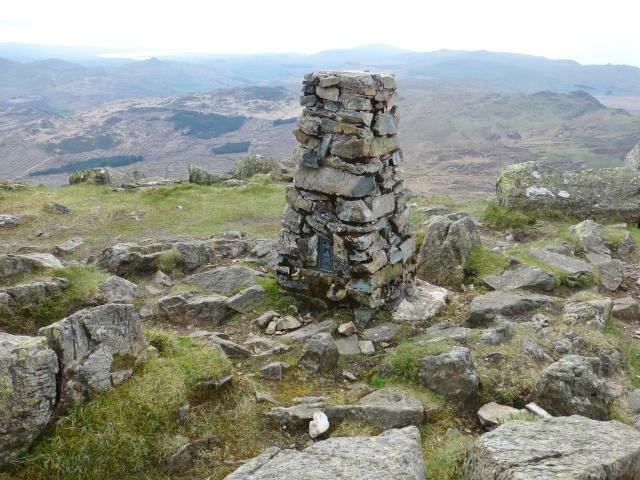 Walked up from Hardknott Road , all the fells to the north had low cloud on the tops but was lucky to get to the top of Harter in clear weather with great views to the south. Superb day. Superb views. Lovely summit. 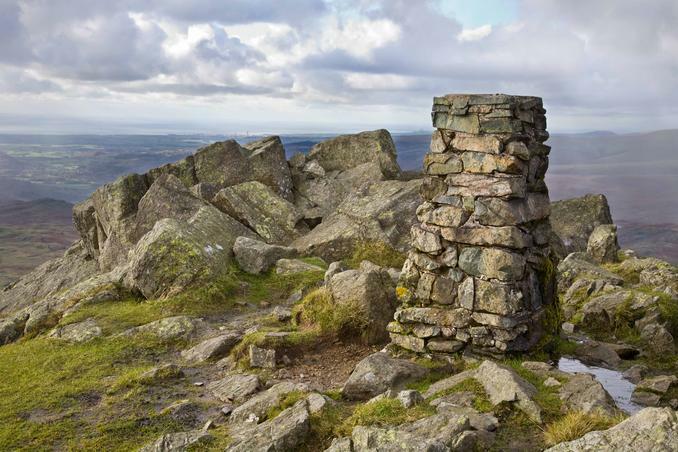 One of the gems of the not quite so high Lakeland fells. Ascending hill from bottom of Hardknott Pass great views from top towards Scafells . 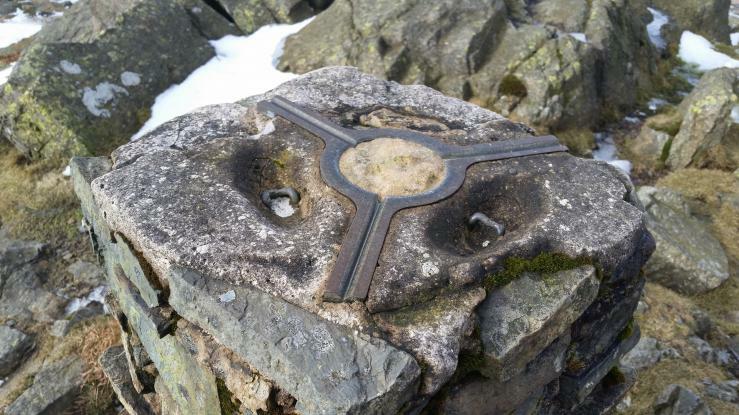 Stone built trig in good condition . Found on a Geocaching expedition with the kids & a friend. View hazy & a tad windy today. 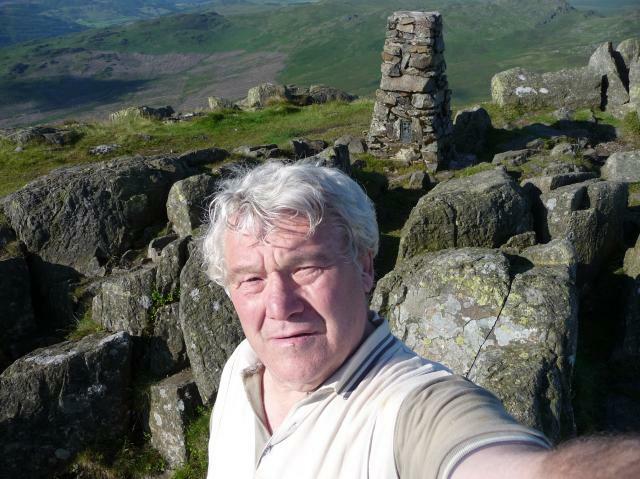 Walked up from top of hard knott. From Birks Bridge car park. 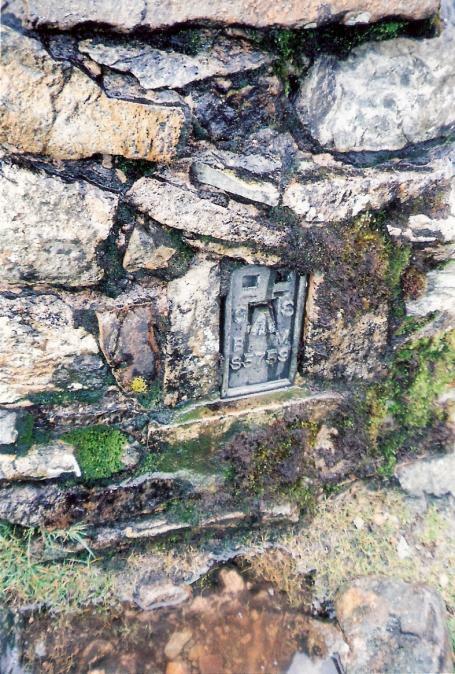 Rain all the way round.Stone built pillar in good nick,concrete plug,JLC SEC stamped on spider,one sight hole open,no views whatsoever! 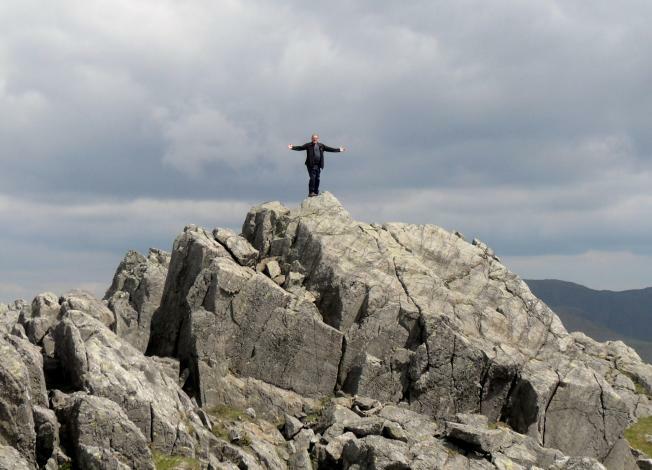 Then squelched my way over to Green Crag. From top of Hardknott passing four minor tops on the way. 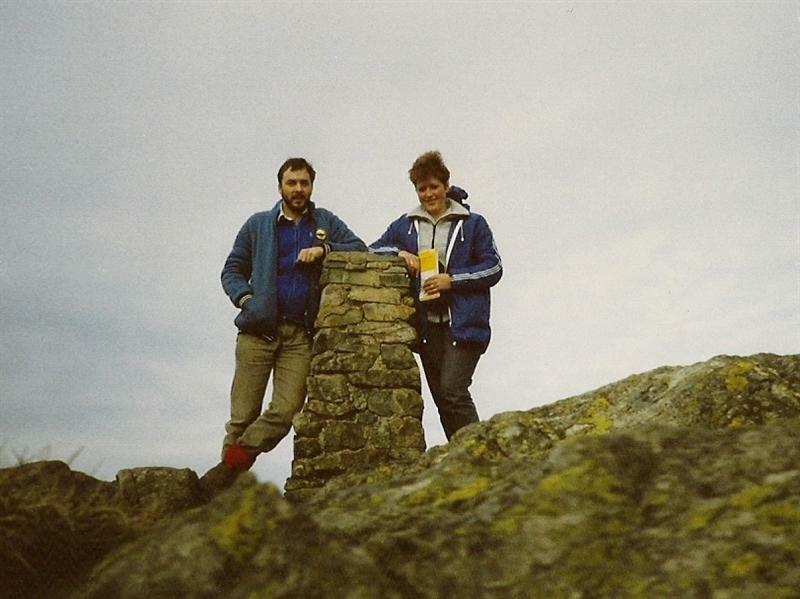 One of the finest summits in the Lakes. 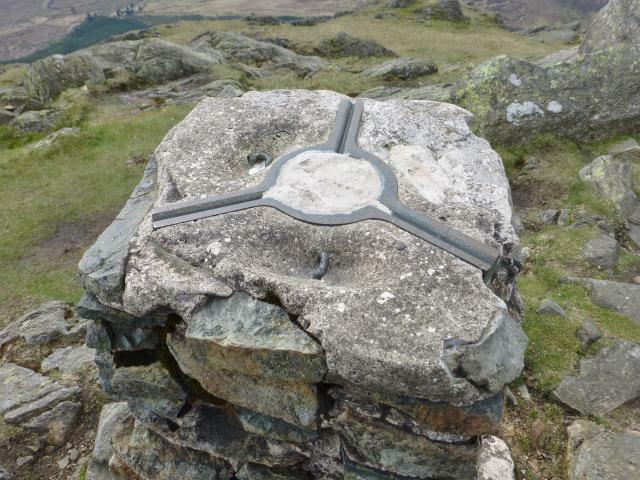 Harter Fell Top of trig. 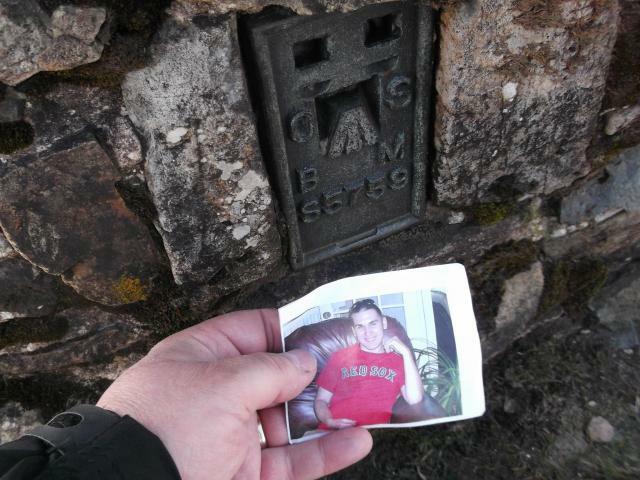 Walked up from Birks Bridge car park to scatter some of CJ Twomey's ashes at the trig.See internet/Facebook for details of this young man from Maine.Fantastic 360 views today. From Hardknott Pass road to North .. 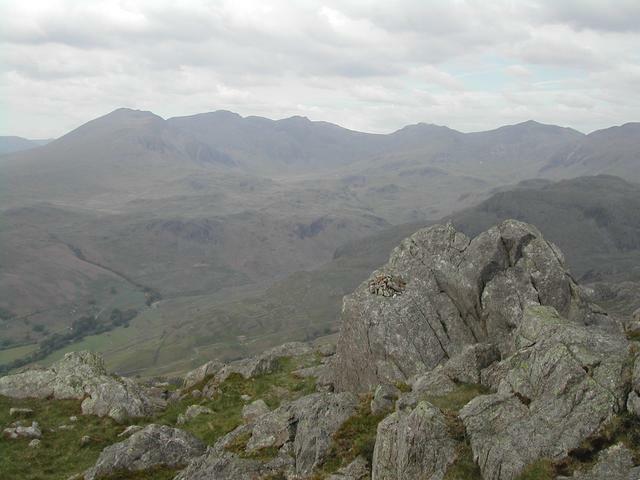 Excellent views of Scafells ..
First Wainwright of the holiday, drove up from Wilts in the morning - Harter Fell and a couple of Birketts this afternoon. Raining when we started the walk, raining when we finished. 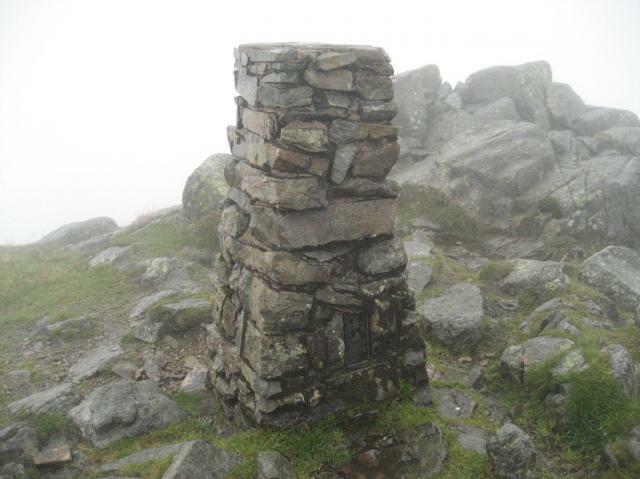 Cloud down on the hill, no views - a warm Lake District welcome! Trig not on summit, but on adjacent rocky peak, nice wet scramble for the true summit - which my other let me do on my own. 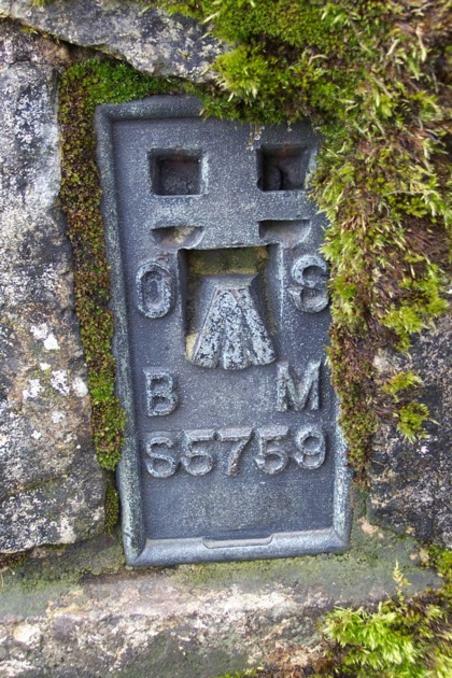 Pillar of stone construction; cap missing, replacement cement plug; 1 sight hole open. 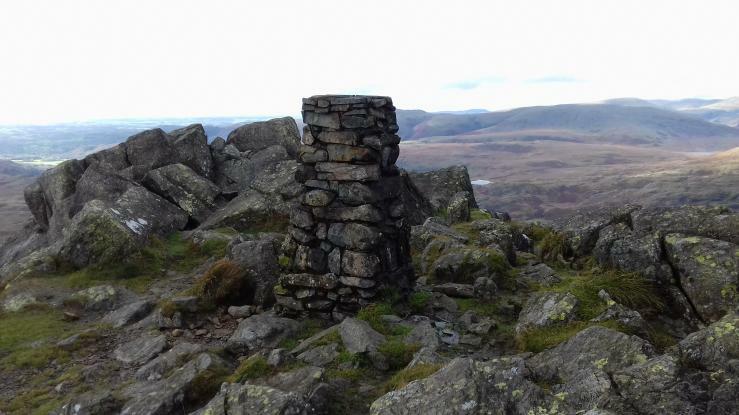 a proper autumnal day and a fine summit. made greasy by the hail storm just as we topped out. 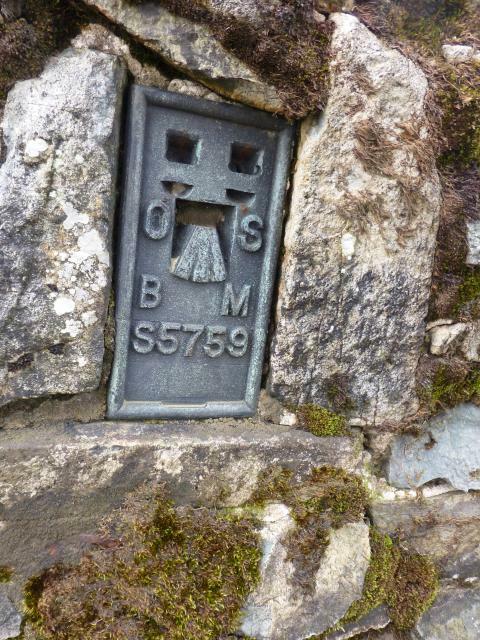 Walked up from the terminus of the Ravenglass & Eskdale railway. Very boggy underfoot with lots of water coming off the fells. 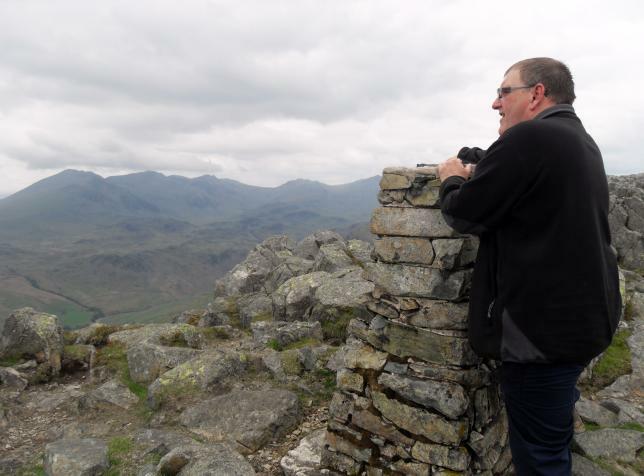 Bands of hail, rain and cloud at the top but in between magnificent views towards the sea and of the Scafell 'masif'. 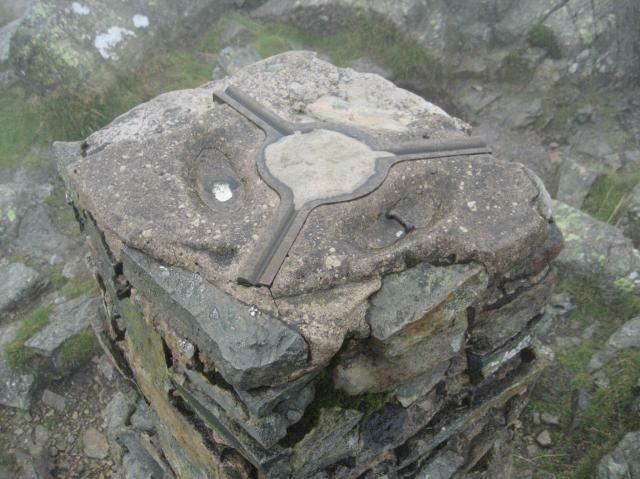 Stone trig in good condition but plug gone. 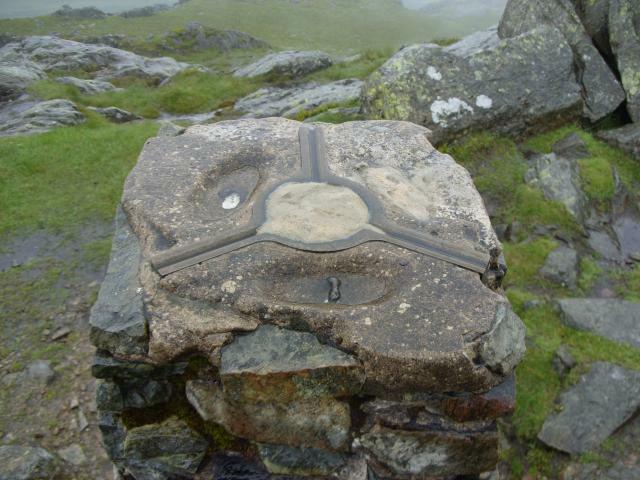 This and hard knott from hard knott pass summit,rain just holding off,good views. 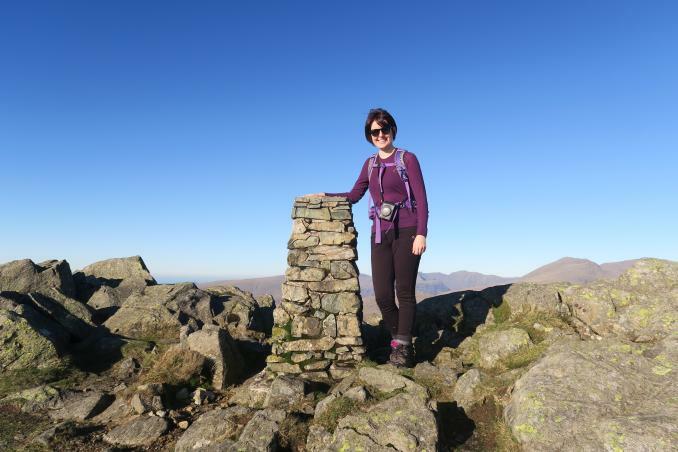 First peak on a long weekend in the Lakes in glorious weather. Came up from the forestry commission car park to the east and took a less direct route down. 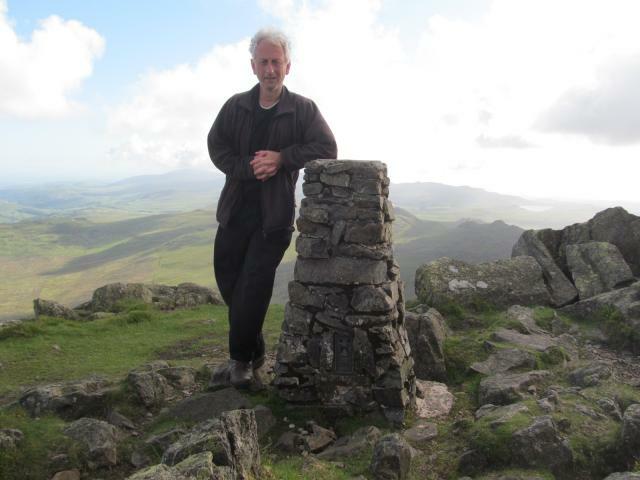 Bagged the trig point and had a rest before going on to scramble to the actual summit. The way around the back seems to be the easiest way up. 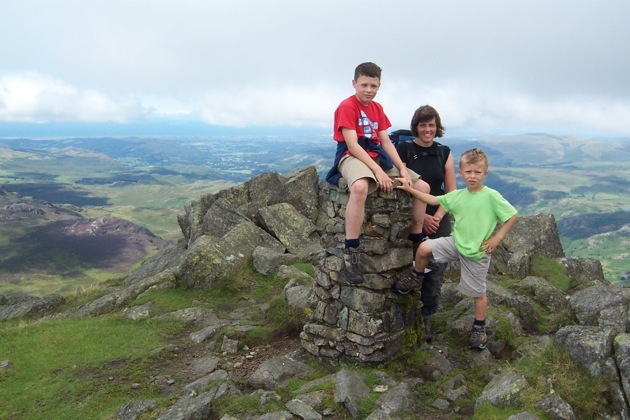 Easy walk up from Hard Knott pass. Great views. A trig and a Roman fort. Brill. A great outing with Downfaller. Walked up from Boot. 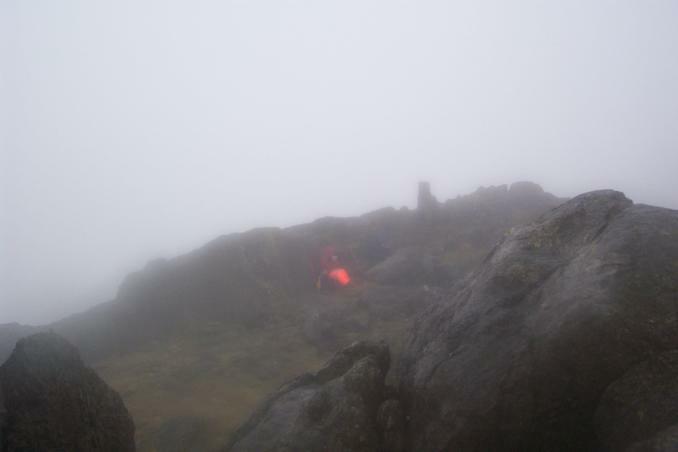 Conditions atrocious at the summit, wind rain and mist. 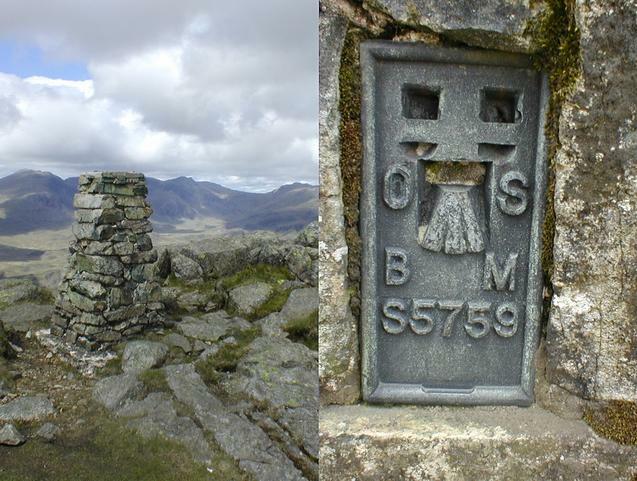 Not the true summit, for Wainwright baggers. Quite a climb but worth it. Parked at top of Hard knott pass & followed path directly to summit. 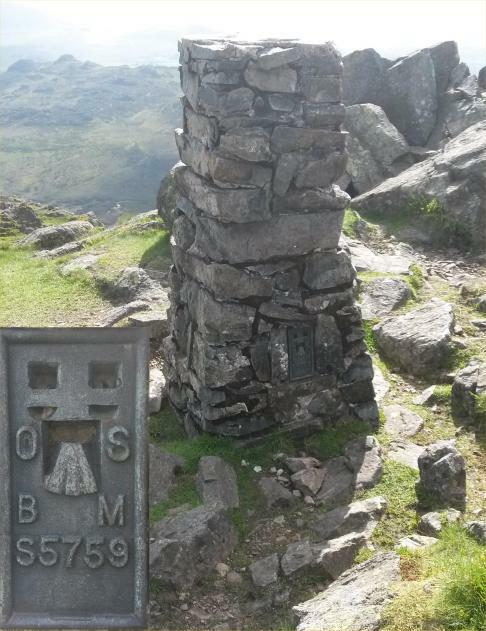 Top place though trig not at the summit,which itself is a rocky area needing a bit of a clamber to get to. 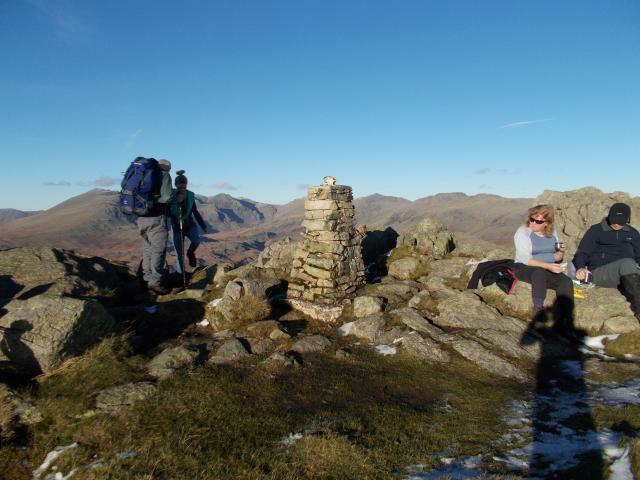 Bagged on a walk from Coniston via Caw and back. 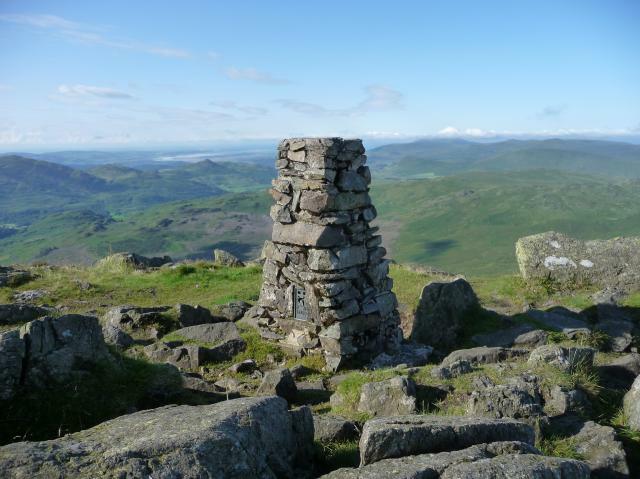 Nice summit and views, the low score of 5 is purely because I was totally exhausted after a long and difficult climb in humid, hot conditions via Caw and Green Crag, and also because the view from the trig is obscured by it not being the highest point. Caching visit - unable to find due to copious amounts of snow! Rain, hail, more rain, gale force winds, soggy hillside,not another soul in sight. Another typical day in the Lakes. 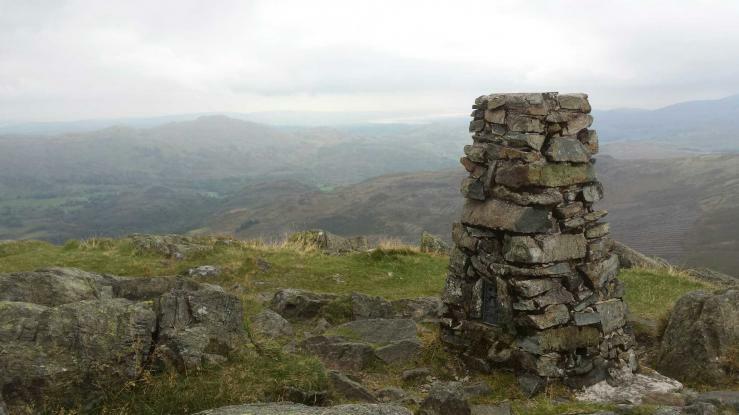 Bagged on a circular walk from Hard Knott Pass and Roman Fort. 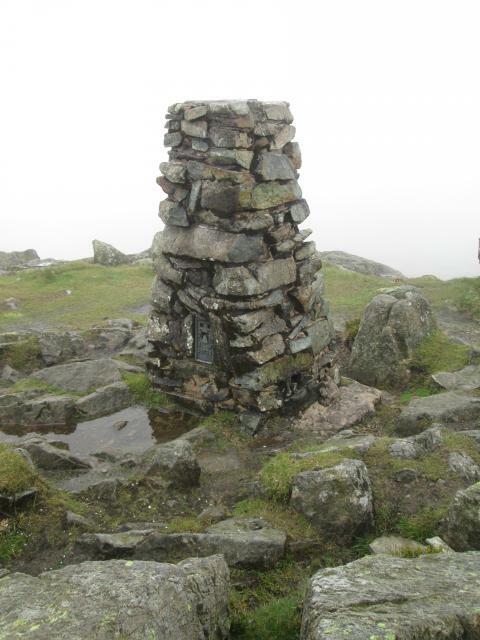 Fantastic 360 degree views though the summit Scar Fell was still shrouded in cloud. Excellent aerial view of Hard Knot Roman Fort. 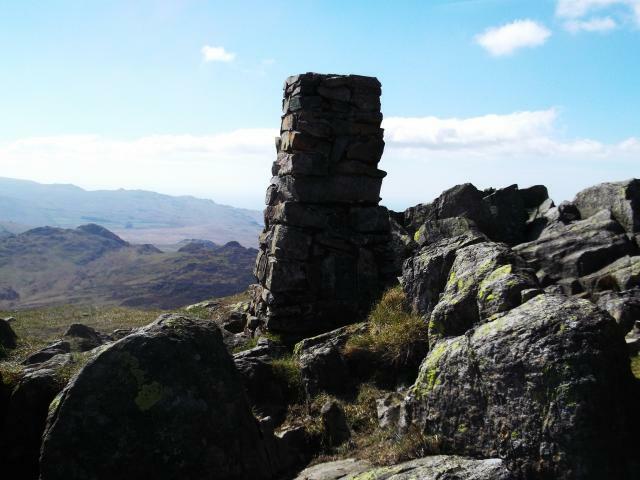 Great walk up from Boot and even better views of the Scafell, Bowfell, Crinkle Crag ranges. Nice stone built pillar. Weather was awful but we weren't going to be put off. Travelling up/down the Hardknott Pass was an adventure, it had only just reopened. 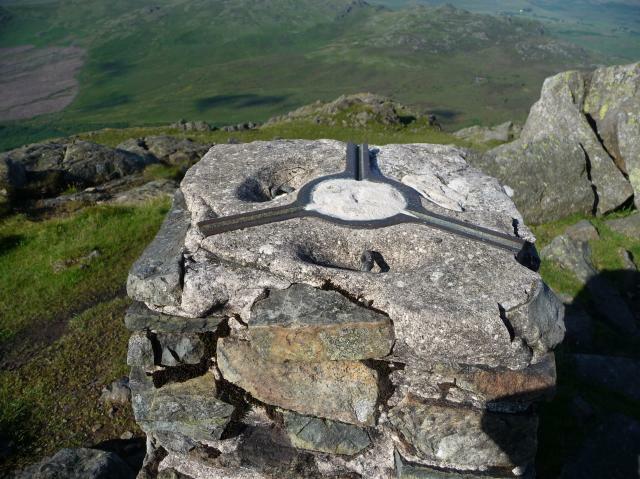 You must visit the Hardknott Fort if you do this trig, its a magical place. My Missus Taking shelter from the wind and rain. You can just see the trig in the background. 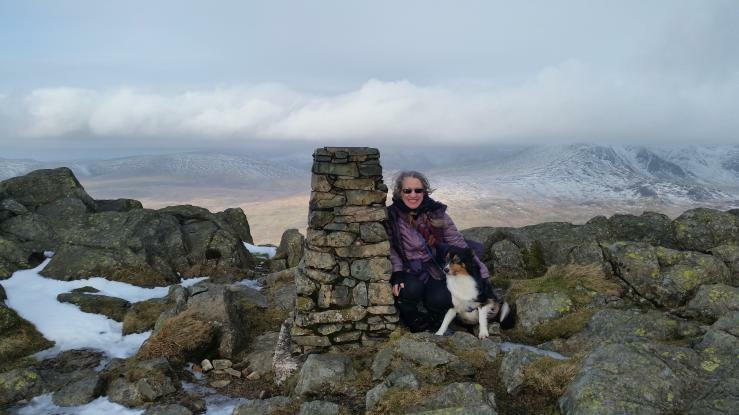 Superb day with temperature inversion while we were on the summit. Third visit, first on 26.2.82. Extremely hot day. 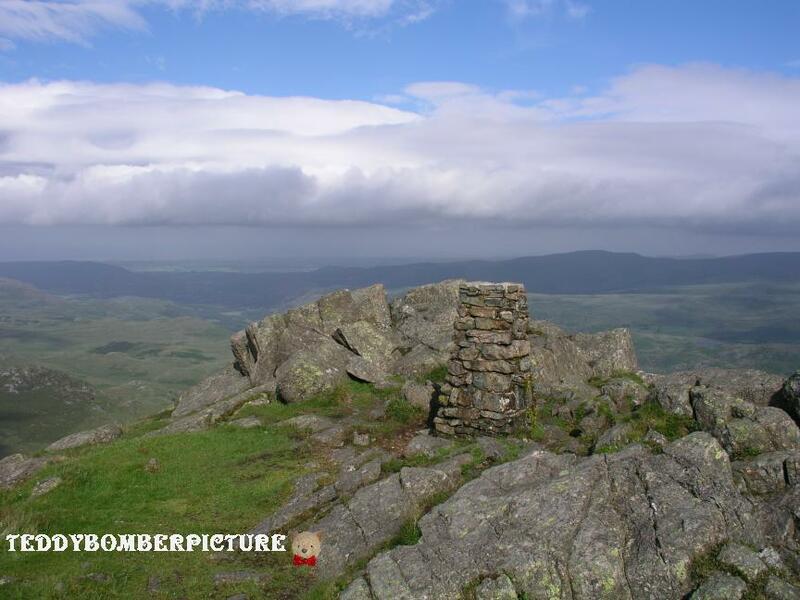 Walked up from Jubilee Bridge at bottom of Hardknott. Swarms of guys on top crowding round trig. Took a group photo for them. 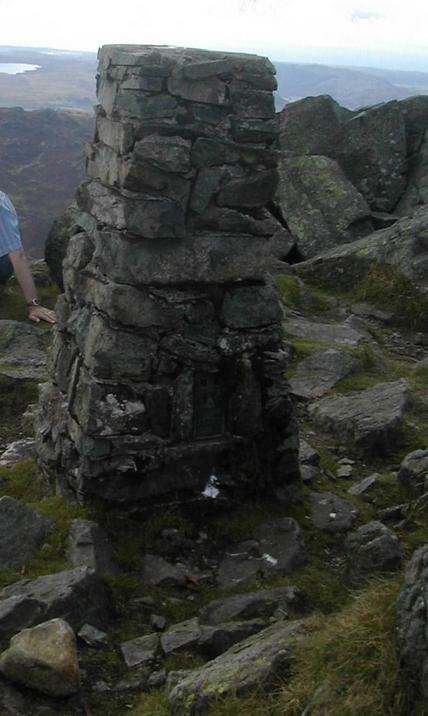 Trig doesn't actually stand on summit however ! 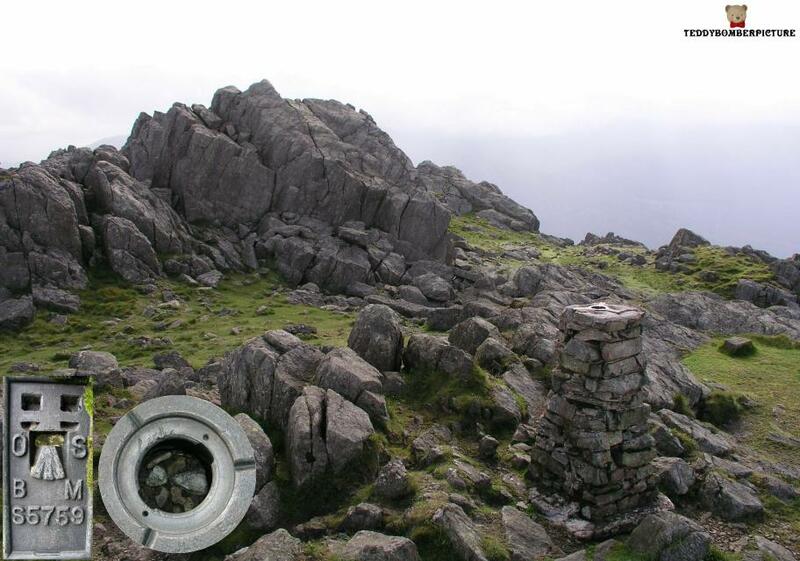 To Scafell3210 - yes ! 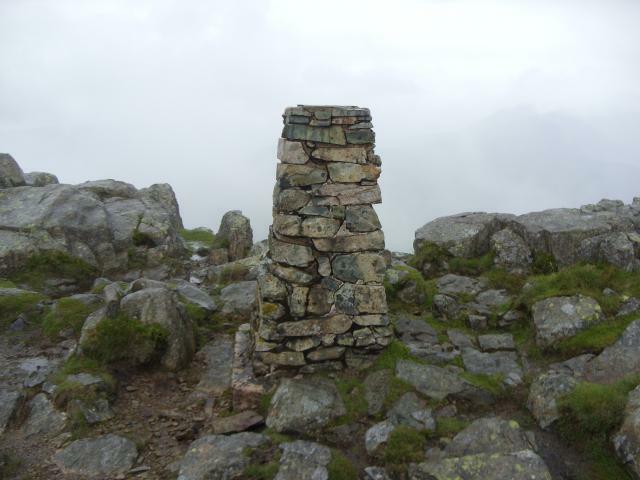 After visiting here, we went to the 'true' summit. A splendid rocky top. 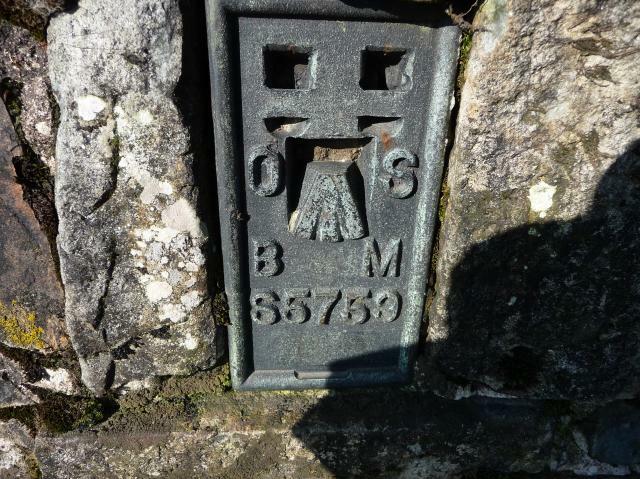 Lovely walk in the sunshine from the cattle grid near Brotherkeld. World Cup 2002 - England beat Denmark 3 - 0, listened to match on radio whilst walking. Stone-built pillar. 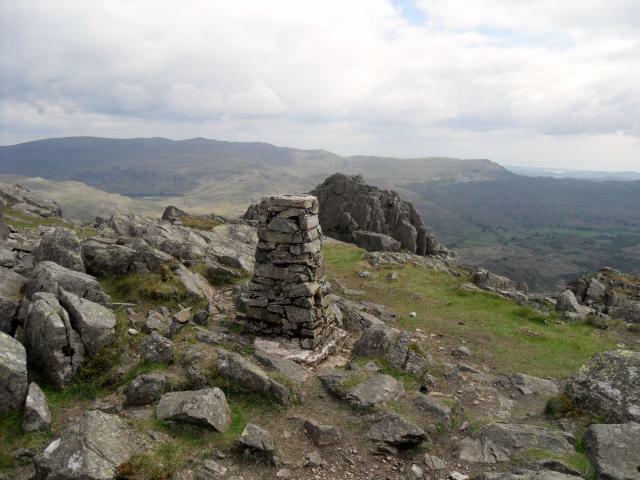 Walked up from Hardknott Pass. 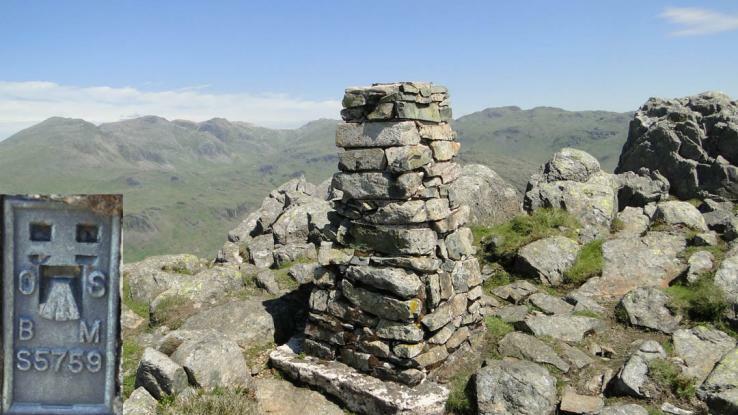 Ascended from Hardknott Pass to this neatly peaked summit. Sunny day. 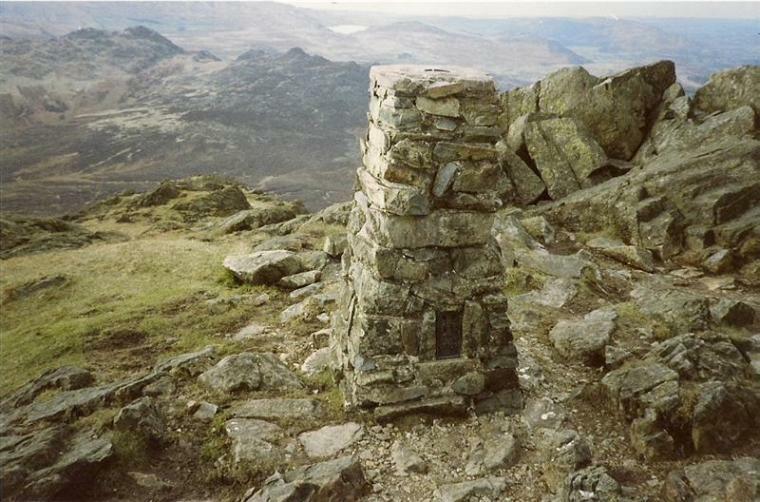 Single summit visit - "Nuttall" walk (5.6) with subsequent visit on 19.10.00 to add some "Birketts"
I have climbed this fell many times,on this day I walked (accompanied with my 2 dogs Midge and Tasha)from Torver over Walna Scar to the Duddon valley,to Seathwaite then Harter fell,a lovely fell with great views. Circular from Jubilee Bridge on a humid thundery morning. Great hill, not such a great view on this occasion, the inside of a cloud looking like the inside of any other cloud. Visited to record FB number. 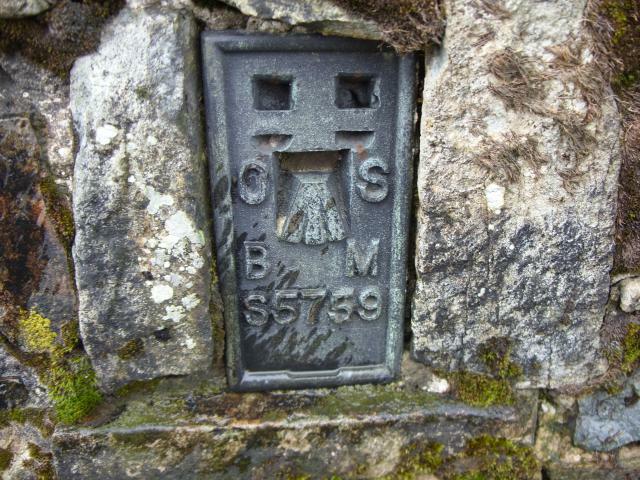 The pillar was built in September 1949 costing �19.11s.1d. 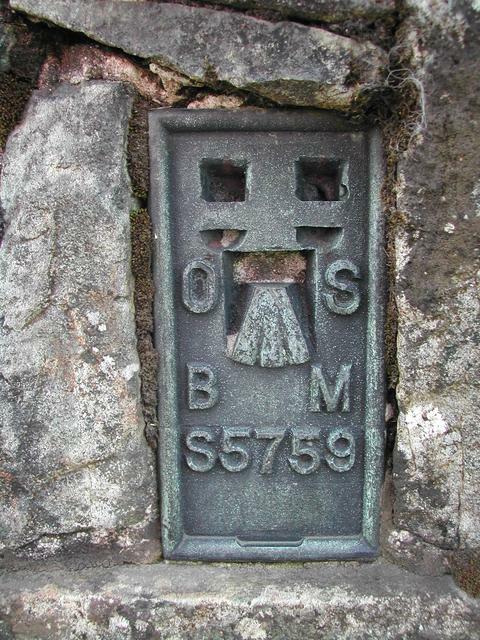 In 1952 this marker was computed as secondary station NY11/11 in the Workington block. 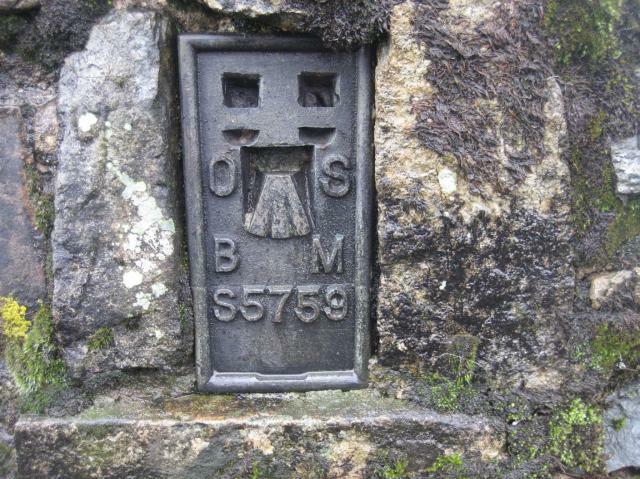 The flush bracket was levelled for height in 1952 too. Stone built column. Spider retained a stamped font OS plug (29/06/1991). 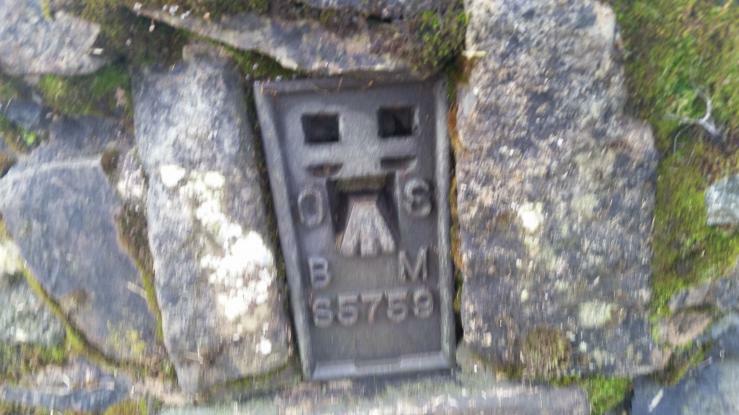 From Seathwaite via Grassguards, return to Birks Bridge. 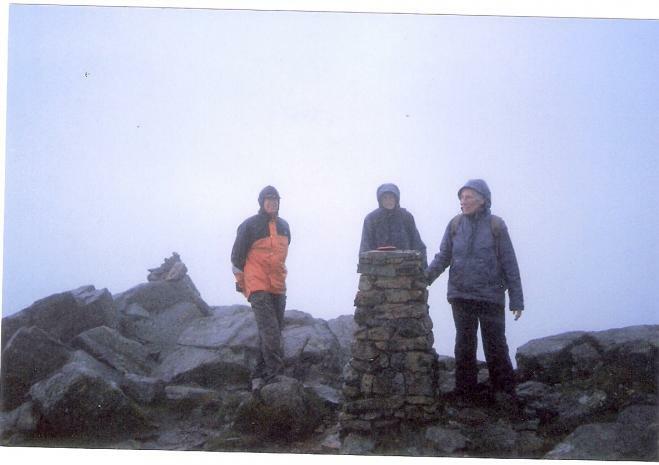 First visit of several to an excellent summit. No view, mist and sleet. Wind from N. Sadie's first fell, only bought her last Wednesday. Good as gold. Cumberland. 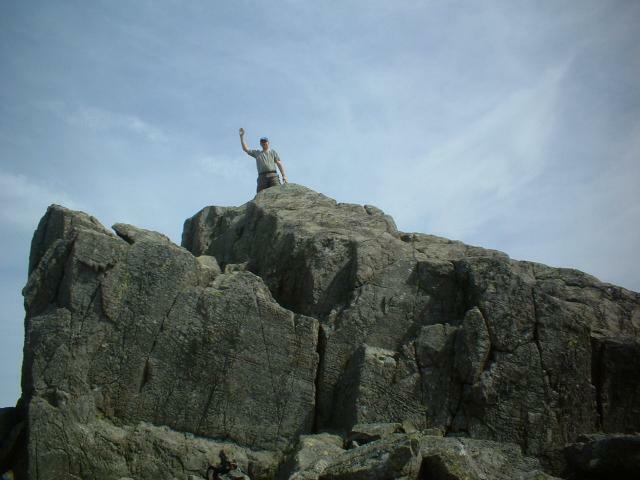 Climbed from Eskdale whilst on a childhood family holiday. Great views.